How effective is the EU’s common asylum policy? The current “refugee crisis” has led to a lot of soul searching among EU officials and policy-makers in the member states about the effectiveness of the EU’s common asylum policy, resulting in calls for reform and a “fair” system of burden sharing. But what do we actually know so far about the impact of the common asylum policy? How has it affected member states’ asylum policies and the distribution of asylum seekers across the EU’s member states? Dimiter Toshkow and Laura de Haan have shown in an article published in the Journal of European Public Policy in 2013, that “there is evidence for limited convergence but not at the lowest level, and the convergence is not sufficient to erase the unequal burden of asylum applications and admitted refuges carried by the different European states.” Read the article here. Read also Natascha Zaun’s article “Why EU asylum standards exceed the lowest common denominator”, recently published in the Journal of European Public Policy. The governance of football: out of control? When the Swiss police arrested seven FIFA top officials on corruption charges, astonishment arose less from the possibility that members from FIFA’s inner circle were implicated in criminal activity, but rather from the fact that law enforcement authorities finally agreed to investigate allegations that FIFA was characterized by endemic corruption. FIFA – the world’s governing body of football – has been portrayed in many news outlets and commentaries as an omnipotent organization shunning regulatory control and conducting business according to its own rules. Arnout Geeraert and Edith Drieskens claim that this portrayal is not entirely accurate, arguing that FIFA as well as Europe’s governing body of football, UEFA, are indeed subject to public regulation. They identify the European Union as an actor with the instruments and capacity to limit these organizations’ self-rule. Read their recent article “The EU controls FIFA and UEFA: a principal–agent perspective” published in the Journal of European Public Policy to learn how the European Court of Justice and the European Commission curtail FIFA and UEFA’s autonomy through monitoring, sanctioning and steering. Public disillusionment with elite politics is a well-known feature in contemporary democracies. But when policy-makers themselves get disenchanted and even cynical with the workings of the policy process, something seems to be at odds. John Boswell and Jack Corbett argue that unlike ordinary citizens, who are disillusioned with policy processes they do not fathom, policy-makers “are disaffected because they understand all too well how the policy-making ‘game’ is played”. Read their recent article “Stoic Democrats? Anti-politics, élite cynicism and the policy process” published in the Journal of European Public Policy to learn more about the origins of political elites’ cynicism and its challenges to the practices and institutions of democratic governance. Read also their recent blog post on the article published on Democratic Audit UK. When it comes to the formulation and implementation of foreign affairs policies, EU member states have firmly defended their national prerogatives. Thomas Henökl and Jarle Trondal, however, show that even in the unlikely case of foreign policy, EU-level bureaucrats working for the European External Action Service (EEAS) enjoy surprisingly high levels of autonomy from EU governments. 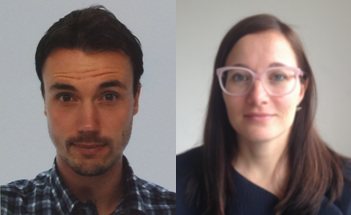 Read their recent article “Unveiling the anatomy of autonomy: dissecting actor-level independence in the European External Action Service” published in the Journal of European Public Policy to explore how the EEAS’s bureaucratic structure helps to preserve the behavioural independence of its staff.